All of the seamless power integration and fun you would expect from Emazing in a step-through package. 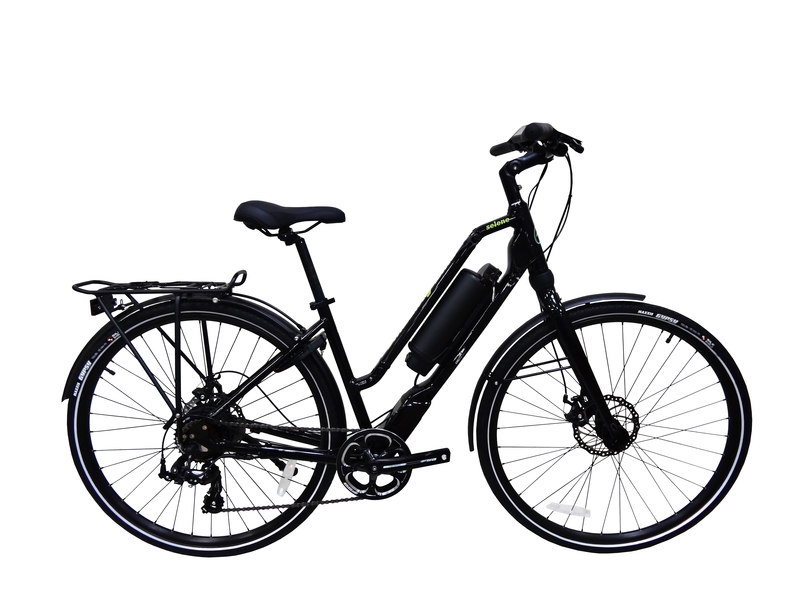 The Selene boasts the same torque sensor and 350W motor as the other excellent Emazing E-bikes. With a slightly wider tire than the Artemis and Daedalus it is more versatile and you won't need to look out for cracks in the sidewalk. 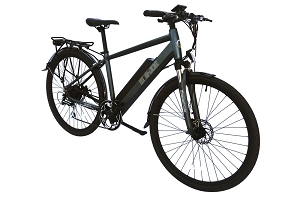 The Selene by Emazing is one of the best e-bikes for your money. Many features found on this bike are often only seen on high-end bikes costing upwards of 3k dollars. The small company is based out of Mountain View California. 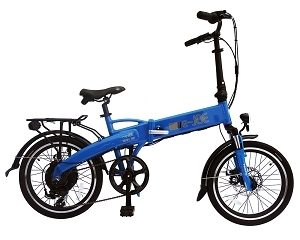 The bike is produced in Taiwan by a factory that makes many other high-end bicycles. 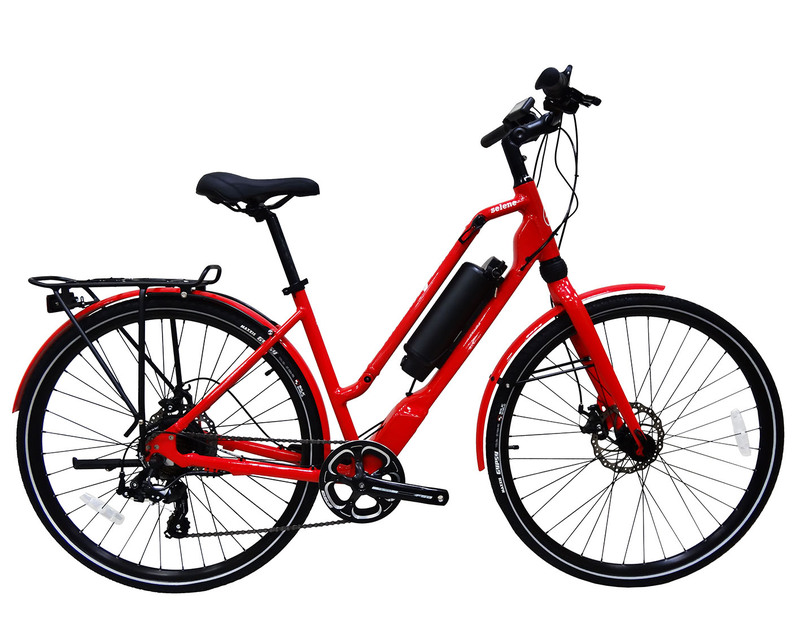 Lower-end e-bikes and bikes, in general, are made in China. 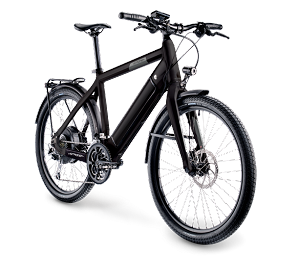 For the money, this is the best e-bike on the market in terms of features and construction quality. 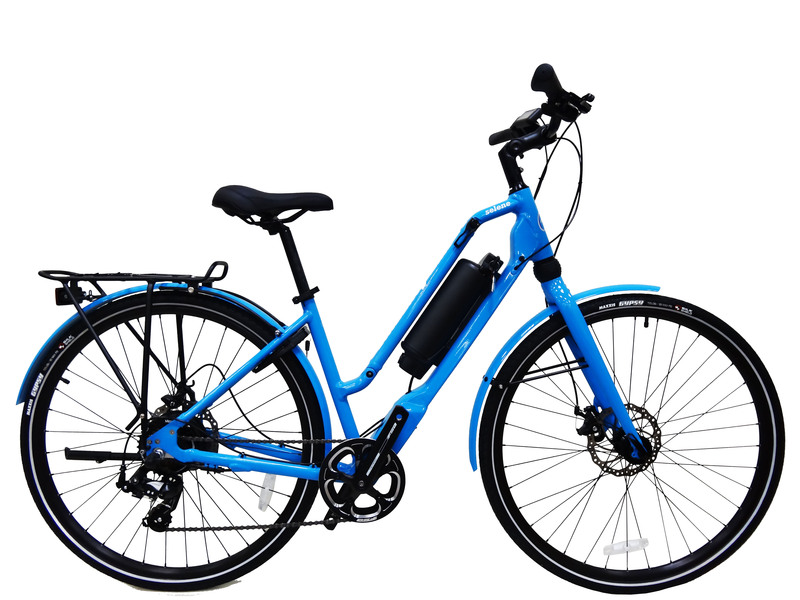 1) This bike comes in two sizes, Small and Large, which is rare for e-bikes at this price level. The handlebar stem is also adjustable. Allowing you to easily adjust the bike to fit your ideal riding position. 2) The large LCD screen on the handle gives you lots of information regarding the bike’s current status. The screen shows your speed, battery level, miles ridden and the current pedal assist level. 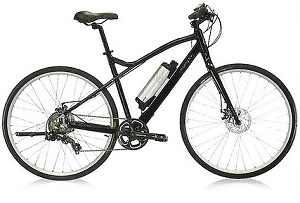 3) The Selene also has double walled steel fenders. This quality fender construction is not usually seen on bikes at this price point. Usually, you will find flimsy plastic fenders. 4) The chain ring is produced by FSA and is made of lightweight aluminum. This is the same chain ring that is found on the Stromer e-bikes which cost an upwards of $4k. 5) The Selene also has a very important feature called "torque sensor" pedal assist. Essentially what this does is sense how hard or soft you are pressing on the pedals. Press harder and the motor gives more power. Pedal easier and the motor gives very little assistance. This technology is far more sophisticated than the typical "cadence sensor" pedal assists found on most e-bikes at this price point, where the motor only knows that the pedals are moving. It can not tell how soft or how hard the rider is applying pressure. 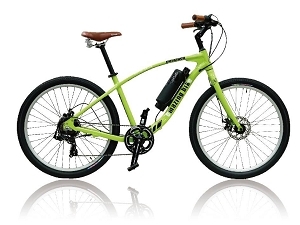 Torque Sensor Pedal Assist is usually found on more expensive e-bikes costing $4K and more.